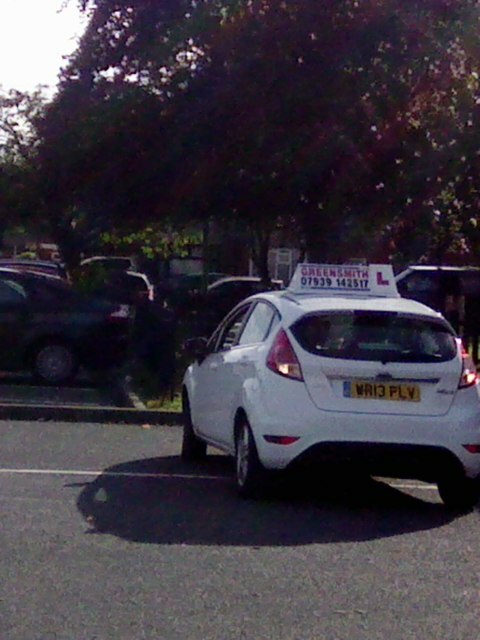 The UK Government is considering whether to introduce new restrictions for drivers who’ve recently passed their test. Under new plans currently being discussed by the Government, new drivers who’ve recently passed their practical driving test could face new restrictions which could see them being banned from using the roads at certain times. On Wednesday, Prime Minister Theresa May said she will ask the DfT to investigate the idea of a ‘graduated licence’ scheme which could help to lower the number of accidents on our roads involving recently qualified drivers. In a number of other countries, including Ireland and the US, such limits have already been introduced, with drivers under the age of 25 being banned from driving at night, as well as being restricted to lower maximum speeds. Other restrictions considered are regarding engine size and power output on car’s new drivers are allowed to drive. Under new plans, night curfews could be introduced as well as lower speed limits for new drivers © Copyright Gary and licensed for reuse under this Creative Commons Licence. According to Government statistics, one quarter of newly qualified drivers are involved in an accident within the first two years on the road, with 400 young drivers killed or seriously injured each year in the UK. Currently, new drivers have very few restrictions once they’ve passed their test, the only real worry for them is that they could lose their licence if within the first 24 months of passing their test they collect six points. In Northern Ireland, new drivers must display an amber ‘R’ (Restricted) plate in the first year and can only travel at speeds of 45mph or lower. As for new drivers in Ireland, they have to display ‘N’ (Novice) plates for two years after to show other road users that a new driver is behind the wheel, plus a lower drink drive limit is set for new drivers for 24 months after passing their test. In Australia, New Zealand and a number of areas in the US, new drivers are not allowed to drive at night unless they are accompanied by a more experienced driver, plus there’s a restriction on the number of passengers they can have in their vehicle. However, restricting new drivers from being on the roads at night could cause problems for those having to travel to and from work, especially in winter when there’s less hours of daylight. The plans have been welcomed by RAC road safety spokesman Pete Williams, who has requested a review into graduated licences in the past. “The RAC has been calling for a reform of driving education for young people and the introduction of graduated driving licences with a minimum supervised learning period and restrictions on the number of passengers permitted in the car, so this is a very positive step towards preventing the loss of young lives on our roads,” said Mr Williams. The organisation has carried out studies which have shown that over a third (35%) of young drivers believed the standard driving test didn’t cover all the skills needed to be able to cope with the demands of driving on a daily basis. It’s the belief that introducing more restrictions for new drivers, especially the young, could have a positive impact on the cost of insurance, as it could fall drastically if younger drivers were reeled in. According to the director at Comparethemarket.com Simon McCulloch, new measures ‘should result in safer roads for all’ as well as reduce premiums.